Moshe Feiglin is an ultra-right-wing religious nationalist politician and leader of the Manhigut Yehudit (Jewish Leadership) faction in Benjamin Netanyahu's Likud party. He lives in the settlement of Karnei Shomron, which is built on Palestinian land in the occupied West Bank in violation of international law. Feiglin's stated objective is to become prime minister and to create a theocratic state of Greater Israel, based "exclusively on Jewish identity, values and ethics," in Israel and the occupied Palestinian territories. Feiglin opposes granting political rights to non-Jews in Israel, denies Palestinians exist as a national group, and advocates the "transfer" of Palestinian citizens of Israel and those living under Israeli military rule in the occupied territories to other countries. Some Israeli commentators have accused Feiglin of being a "fascist." In a 2004 interview with The New Yorker, Feiglin said: "For two thousand years, Jews dreamed of a Jewish state, not a democratic state. Democracy should serve the values of the state, not destroy them." In his 2005 book, The War of Dreams, Feiglin wrote: "The State of Israel was created for the Jewish people, and its democracy is supposed to serve the Jewish people. If this state acts against the interests of the Jewish people, there is no longer any point in its existence, be it democratic or not..."
In a May 2011 video rebuttal to a speech by US President Barack Obama on Middle East peace, Feiglin referred to the terrorist attacks of September 11, 2001, and claimed that "the fate of the Twin Towers was sealed" when the US brokered the Oslo Accords between Israel and the Palestine Liberation Organization (PLO) in the early 1990s. In an April 2010 op-ed in Maariv newspaper, Feiglin called US Vice President Joe Biden a "diseased leper" for criticizing Israeli settlement construction. In 2008, Feiglin was banned from entering the United Kingdom after the British Home Secretary deemed his entry "would not be conducive to the public good." A letter to Feiglin from the Home Office said that the Secretary based her decision on an assessment that his activities "foment or justify terrorist violence in furtherance of particular beliefs; seek to provoke others to terrorist acts; foment other serious criminal activity or seek to provoke others to serious criminal acts and foster hatred which might lead to inter-community violence in the UK." In 1996, Feiglin co-founded Manhigut Yehudit as an independent political party along with longtime close associate Shmuel Sackett. The two had previously created a group called Zo Artzeinu (This is Our Land) to oppose the Oslo Accords signed between Israel and the PLO. The US-born Sackett, who also lives in a West Bank settlement while maintaining a residence in New York, is a former member of the Jewish Defense League and Kach movement, and a former leader of the Kahane Chai group. 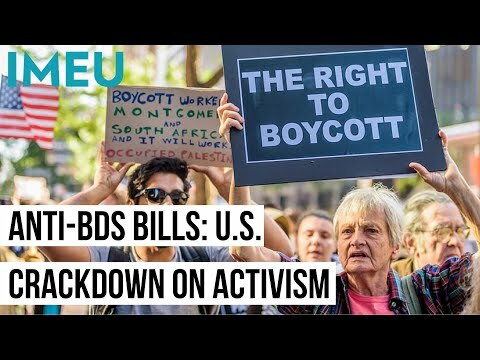 All three have been outlawed as terrorist organizations by the United States because of their racist ideologies and acts of violence perpetrated by members against Palestinians and others. Sackett remains a devoted follower of the late Rabbi Meir Kahane, who founded the JDL and Kach (which Kahane Chai was an offshoot of), writing in a February 2013 Jewish Leadership newsletter that he was a "proud student" of the notoriously racist Kahane. In a March 2010 interview, Feiglin expressed his own admiration for Kahane when asked who inspired him, stating: "I believe most of the things Rabbi Kahane said were true." In reference to a popular saying amongst Kahane disciples, Feiglin said in a February 2013 interview: "I can definitely say that the slogan 'Kahane tzadak - Kahane was right' has proven itself many times." In 2000, Feiglin brought Jewish Leadership into the Likud party, with the intention of eventually taking it over. Once considered "toxic" and on the fringes of Likud, Feiglin and Jewish Leadership's influence in the party have grown steadily. In June 2004, Education Minister Limor Livnat warned that "extremists and criminals are trying to take over the Likud," referring to them as "the Feiglins." A few years later, in 2007, Feiglin ran for the Likud leadership and came in second behind Netanyahu with 24% of the vote. In 2009, Feiglin won enough votes in the Likud primary to run 20th on the Likud parliamentary list, which would have given him a spot in the last Knesset, but was bumped to 36th place and out of contention for a Knesset seat by party leaders who feared he would alienate more moderate voters. In November 2012, Jewish Leadership made a breakthrough achieving further gains in party primaries, virtually assuring Feiglin a seat in the next Knesset. 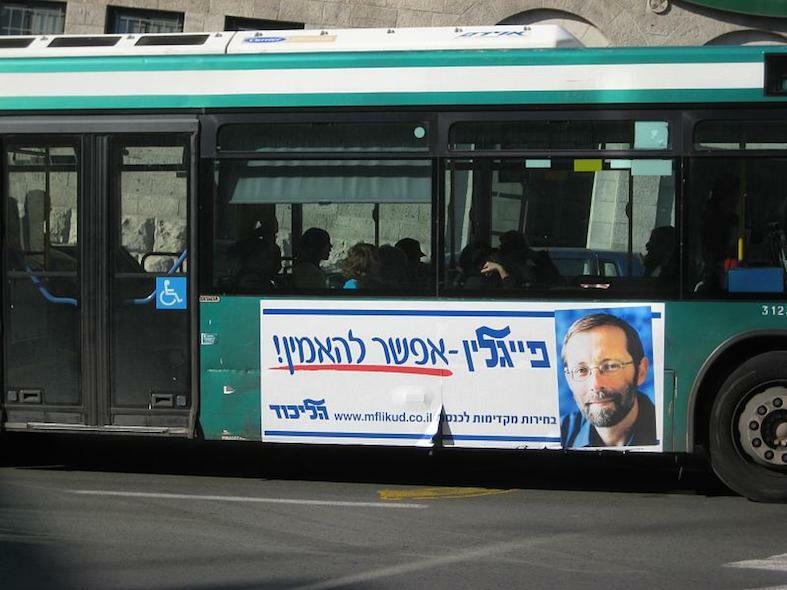 During the campaign the party establishment even promoted Feiglin's image in advertising to lure religious nationalist votes away from the surging Jewish Home party. In January 2013, the combined Likud-Yisrael Beiteinu parliamentary list won enough votes to secure Feiglin a Knesset seat for the first time. "Why should non-Jews have a say in the policy of a Jewish state? In the same New Yorker interview, Feiglin compared Palestinians and Arabs to the Amalekites, a people that, according to the Bible, God ordered the ancient Israelites to exterminate. In another 2004 interview, with the newspaper Yedioth Ahronot, Feiglin spoke of his plan to "transfer" Palestinians, stating: "Arabs don't live in the desert, they create it." "There is no Palestinian nation. There is only an Arab-speaking public which has suddenly identified itself as a people, a negative of the Zionist movement, parasites. The fact that they hadn't done so earlier only serves to prove how inferior they are. The Africans have no nations either. Only Zulus, Tutsis." In the same Haaretz interview, Feiglin said: "There can be no doubt that Judaism is racist in some sense... And when they asserted at the United Nations that Zionism was racist, I did not find much reason to protest. The people who take racism to mean a distinction between races - and this is a very primitive distinction - must argue that Zionism is racist." On January 1, 2013, Feiglin offered details of a plan to use some of Israel's defense and security budgets to pay Palestinians to leave the occupied West Bank, stating: "With this budget we can give every Arab family in Judea and Samaria $500,000 to encourage it to immigrate to a place with a better future." He previously proposed paying Palestinians to leave in 2008. In the mid-2000s, Feiglin wrote a tract setting out his political program. In the manifesto, which was suddenly removed from his website in 2009 after the last Likud party primaries, he said that if he became prime minister he would withdraw Israel from the United Nations and cut off water and electricity to Palestinians under Israeli control in the occupied territories. In response to attacks from Palestinian militants, he called for "the conquest of the area whose residents instigated the violence, their deportation and destruction of the area's infrastructure." Feiglin supports the building of a Jewish temple on the site of the 7th century-era Noble Sanctuary mosque complex in occupied East Jerusalem, which is believed to rest on the ruins of two ancient Jewish temples. The Noble Sanctuary is one of the holiest sites in Islam, and one of the most sensitive religious sites in the world. Since Israel occupied East Jerusalem and the Old City in 1967, there have been several plots uncovered to destroy the Noble Sanctuary by Jewish extremists who wish to build a new temple in its place. Feiglin visits the Noble Sanctuary regularly and has been arrested by Israeli police numerous times, the latest being in January 2013, for praying out loud at the Muslim holy site. To avoid inflaming religious tensions, Israeli authorities banned Jews from praying in the Noble Sanctuary after Israel occupied the area in 1967. Many rabbis have also prohibited for theological reasons Jews from praying on what they call the Temple Mount. In a February 2013 Jewish Leadership newsletter, Feiglin wrote: "From the day that the Temple was destroyed, our Sages explain, the taste of life was taken from us and given to the idol worshippers. In other words, since the Temple was destroyed, we really don't have much of a life. We are like zombies, walking shadows, not people who are really alive." In a June 2012 speech in New York, Feiglin said of building a new Jewish temple on the Noble Sanctuary: "The state of Israel should not be an obstacle to fulfill that dream, it should be a tool to fulfill that dream of our grandfathers."